Hogarth’s Pest Control specializes in Brown-Banded Roach removal. The Brown-banded roach is a small, domestic species of cockroach that exists exclusively indoors. This roach is not as widespread as its cousin, the German roach. They have distinct markings— two brown bands right behind their head. As a result, these roaches are easy to spot for pest control professionals.Brown-banded roaches prefer warm, high areas and are mostly found in kitchen nooks such as near refrigerator motors, on the upper walls of cabinets, and inside pantries. They can enter a home via infested electronics, furniture, food items, grocery products. These roaches require ample food and warmth for survival which is why kitchens are the perfect hiding spot. They will feed on anything from trash to building materials, so there is no shortage of food for the Brown-banded roach. With an infestation comes an array of health concerns; namely, risk for gastroenteritis and diarrhea. Most commonly, a roach infestation may lead to an allergic reaction or problems associated with asthma. The first step to eradicating a roach problem is proper identification. 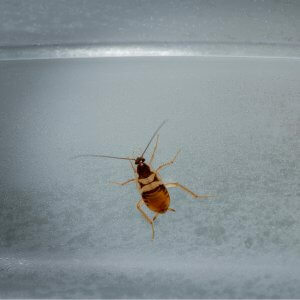 Once identified, a licensed pest control professional will be able to properly rid your home of these pests. 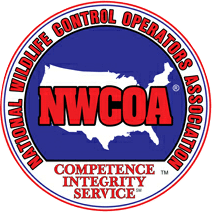 Hogarth’s Pest Control & Wildlife Removal specializes in this type of work, so give us a call today!